I’ve been watching the Red Sox struggle through the 2012 season and i can’t help but wonder what happened to the “Red Sox Baseball” that GM Theo Esptein implemented in the early part of the last decade that helped the Red Sox win two World Championships. No, I’m not talking about that silly cosmetic stuff that anonymous sources report about what’s going on off the field. I’m talking about what they do on the field, more specifically at the plate. The Red Sox don’t take pitches anymore. They don’t talk walks anymore. They don’t make pitchers work hard anymore. They often have poor at-bats, mostly from the bottom of the order. Why did the Red Sox stop bringing in players with high OBP rates? John Henry bought the Red Sox with an obsession with Oakland GM Billy Beane’s “moneyball” philosophy. When he couldn’t secure Beane’s services he turned to another young moneyball disciple in Theo Esptein. The Red Sox built the 2004 roster on players that walked. Kevin Millar, David Ortiz, Bill Mueller, and Mark Bellhorn were all acquired before the 2003 or 2004 seasons and they all had one thing in common – they got on base. The Red Sox built their 2007 roster by drafting players like Dustin Pedroia and supplementing the roster with guys like Mike Lowell and J.D. Drew who all got on base. Now they have a bottom of the lineup that consistently have 3 or 4 pitch at-bats and leaves the pitcher fresh for the top of the order the 2nd and 3rd times around. 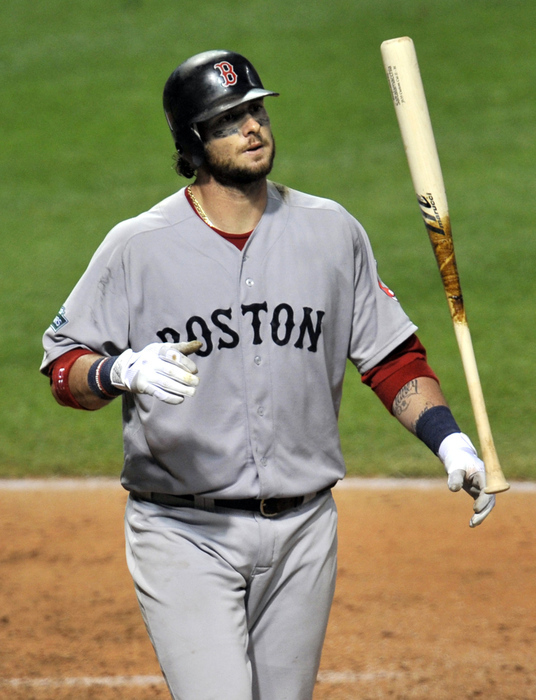 Guys like Mike Aviles and Jarrod Saltalamacchia are the opposite of the prototype moneyball type hitters. Here’s a look at the OBPs for the starting lineups in the World Series winning years of 2004 and 2007. The differences are astounding. In 2004 and 2007 only 1 player in the Sox starting lineup, Julio Lugo, had an OBP under .300 and he was at .294. This year they have 2, Saltalamacchia and Aviles, and both are .285 or under. Lugo, Orlando Cabrera, and Coco Crisp were the only 3 guys in those two seasons to have a OBP of .330 or lower. Only 4 guys in the Red Sox starting lineup this season – their 3 best hitters, Gonzalez, Pedroia, Ross and Ortiz – are over the .330 mark. 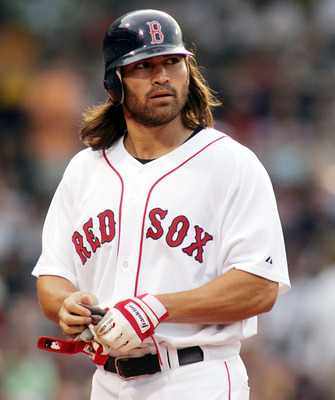 Jacoby Ellsbury’s .309 OBP is a horrible number for a lead-off hitter and pales in comparison to the .380 OBP of 2004 lead-off man Johnny Damon. Bill Mueller’s .365 OBP was 2nd lowest in the Red Sox starting lineup in 2004. He’d have the second highest in this year’s lineup. It’s clear what the Red Sox need to do. They need to re-acquire players who takes pitches and get on base. They need to rebuild the roster with the 2004 version as a guideline. When Theo Epstein took over in 2002 he envisioned a 100 million dollar player development machine. Now it’s just a 100 million dollar mess. For the Red Sox to get back into the post-season they need to simply get back to Red Sox baseball. Judging by the numbers above it doesn’t seem like a guy like Mike Aviles, Jarrod Saltalamacchia or even Jacoby Ellsbury would fit into that plan. They need to get rid of the guys who don’t get on base and replace him with guys who do.